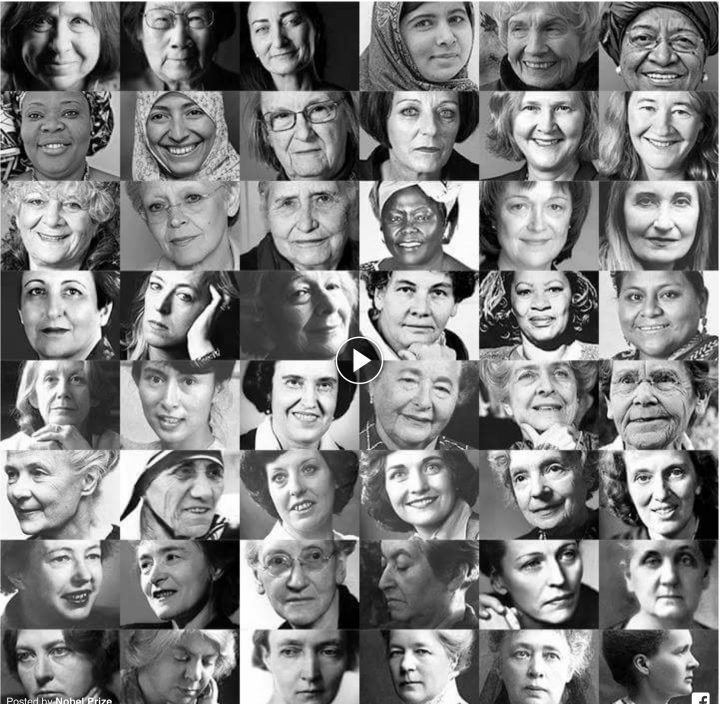 It would be impossible to write an article about all the contributions made by women throughout history. And in the present climate of #MeToo and Time’s Up what better point to reflect on than some of those contributions to inspire more appreciation of women? Some of them were part of the struggle for equality, so that women may also contribute today with the difference. Here is only a sample, I hope those interested in the subject will take to social media to remedy my omissions. Aspasia (c. 470-400), partner of Pericles. Has been acknowledged by Socrates as one of his teachers. Aspasia is mentioned in the writings of Plato, Aristophanes, Xenophon, and others. Little is known about her and (not surprisingly) some even suggested she may have been a prostitute! Hypatia (c. 350 or 370-415 AD) although there is a long list of female scientists in the ancient world (Wikipedia ) Hypatia is the most famous, perhaps for the way she died. She lived in Alexandria, Egypt, then part of the Eastern Roman Empire. She was the head of the Neoplatonic school at Alexandria, where she taught philosophy, astronomy and mathematics. She was murdered in the cruelest possible way by a Christian mob for not adhering to the new religion. Fatima bint Muhammad Al-Fihriya Al-Qurashiya was an Arab Muslim woman who is credited for founding the oldest existing, continually operating and first degree-awarding educational institution in the world, The University of Al Quaraouiyine, with an associated madrasa and one of the oldest libraries, in Fes, Morocco in 859 CE. Mary Wollstonecraft (1759 – 1797) was an English writer, philosopher, and advocate of women’s rights. During her brief career, she wrote novels, treatises, a travel narrative, a history of the French Revolution, a conduct book, and a children’s book. Wollstonecraft is best known for A Vindication of the Rights of Woman (1792), in which she argues that women are not naturally inferior to men, but appear to be only because they lack education. She suggests that both men and women should be treated as rational beings and imagines a social order founded on reason. Maria Tecla Artemisia Montessori (1870 – 1952) was an Italian physician and educator best known for the philosophy of education that bears her name, and her writing on scientific pedagogy. She was a single mother. Her educational method based on nonviolence is in use today in many public and private schools throughout the world. Marie Skłodowska Curie (1867 – 4 July 1934) was a Polish and naturalized-French physicist and chemist who conducted pioneering research on radioactivity. She was the first woman to win a Nobel Prize, the first person and only woman to win twice, the only person to win a Nobel Prize in two different sciences. She was also the first woman to become a professor at the University of Paris. Rosalind Elsie Franklin (1920 – 1958) was an English chemist and X-ray crystallographer who made contributions to the understanding of the molecular structures of DNA (deoxyribonucleic acid), RNA (ribonucleic acid), viruses, coal, and graphite. Many consider she should have been included in the Nobel Prize given to Watson and Creek for the structure of DNA as much of their work was based on hers. In Britain campaigners were mainly suffragettes (the Women’s Social and Political Union led by militant suffragette Emmeline Pankhurs, her daughter Cristabel and Emily Davison who was killed during a horse race whilst carrying a votes for women banner into the racetrack). They engaged in acts of sabotage, hungers strikes (enduring distressing force feeding), window smashing, and burning property. During WW1 they stopped the campaign in order to contribute to the war effort. The suffragists, instead, undertook actions more purely in the realm of nonviolence under the leadership of Millicent Fawcett’s Women’s Suffrage Federation (with the participation of Sylvia Pankhurst- also Emmeline’s daughter, who later became a socialist activist in the fight against fascism and colonialism) and continued the struggle until the end of the war. They opposed the war and supported conscientious objectors. In the US 5,000 women staged a suffrage pageant in Washington, withstanding a mob’s attacks until cavalry troops intervened. “Nothing less than riots,” was an associated press correspondent’s description. The first national suffrage organisations were established in 1869 led by Susan B. Anthony, Elizabeth Cady Stanton and Lucy Stone, the National American Woman Suffrage Association (NAWSA) with Anthony as its leading force. In 1916 Alice Paul formed the National Woman’s Party (NWP), a militant group focused on the passage of a national suffrage amendment. Over 200 NWP supporters, the Silent Sentinels, were arrested in 1917 while picketing the White House, some of whom went on hunger strike and endured forced feeding. Under the leadership of Carrie Chapman Catt, the two-million-member NAWSA also made a national suffrage amendment its top priority. On December 1, 1955, in Montgomery, Alabama, Parks refused to give up her seat in the “coloured section” to a white passenger, for which she was arrested and taken to court. The civil rights movement mounted a campaign of civil disobedience against Alabama segregation laws, naming Martin Luther King as their leader. She was belatedly recognised with several awards and called by the US Congress “the first lady of civil rights” and “the mother of the freedom movement”. Charlotte, Emily and Anne Brontë Wrote> Currer, Ellis and Acton Bell. The NASA “human computers”: Katherine Johnson, a mathematician who calculated flight trajectories for Project Mercury and other missions, NASA supervisor Dorothy Vaughan and NASA engineer Mary Jackson. A film based on the black female mathematicians used by NASA for their calculations but in a segregated way (Hidden Figures) depicts the lives of these three remarkable women and their contribution to the space project. Although better known as an actress, Austrian actress Hedy Lamarr also became a pioneer in the field of wireless communications. With co-inventor George Anthiel, she developed a “Secret Communications System” to help combat the Nazis in World War II. By manipulating radio frequencies at irregular intervals between transmission and reception, the invention formed an unbreakable code to prevent classified messages from being intercepted by enemy personnel. Her work is considered to be a precursor of Bluetooth and WiFi. Women who changed the world. Literary mastery, pioneering science, life-saving discoveries and actions for peace and human rights – achievements of women around the world awarded the Nobel Prize. Learn more about the impactful work of these Laureates at Nobelprize.org.#InternationalWomensDay #WomensHistoryMonthPhotos: Ulla Montan, Alexander Mahmoud, Nobelprize.org. Music: Epidemic Sound.